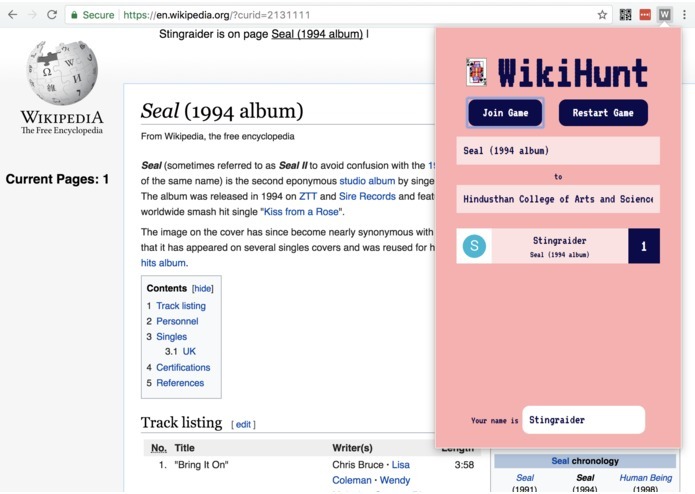 We wanted to create something that makes it easier for friends to play the Wikipedia Game with no cheating. It is a Chrome Extension that connects to a server and keeps everyone who is playing through the Chrome extension updated. It also prevents the players from cheating.